If the sunny breaks in the clouds have you yearning to get "unleashed" this spring break, we want to encourage our entire Rad Pack to do just that! 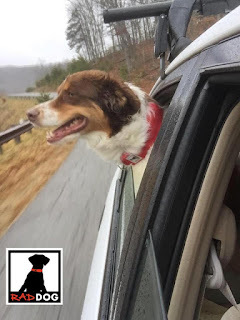 So get outside, hop in the car, and go explore the world unleashed this Spring with you, your dog, and a Rad Dog Release 'N Run leash/collar in one! 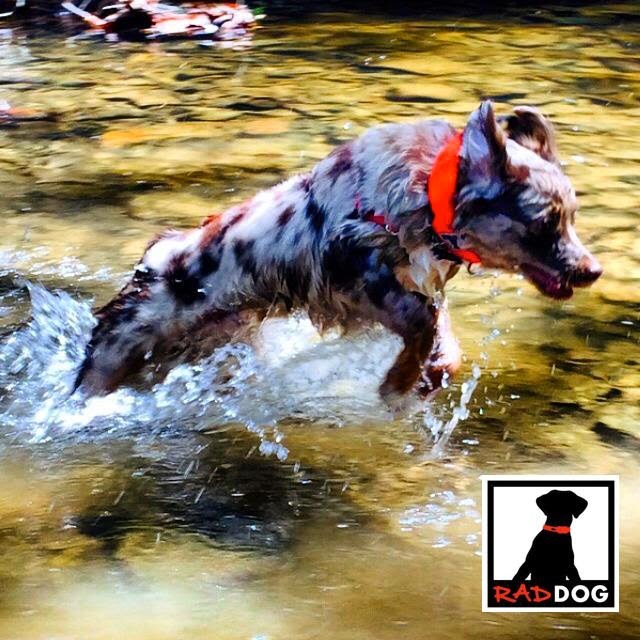 What we love most about dogs is their adventurous nature, instantaneous reactions to outside stimuli, and the ability to #liveunleashed. But that's also what gets them in trouble! With the Release 'N Run retractable leash and collar in one, you and your dog get the best of both worlds--a collar most of the time, and a leash when you need it! We know what your thinking: "The person that invented this thing MUST have been a dog owner!" And you are exactly right! In fact, the entire premise of the Release 'N Run leash and collar combination started with a trail run in the foothills of Colorado. While enjoying the freshness of the Rocky Mountain air and exploring the latest scent on a nub of sagebrush, Rad Dog owner and inventor Brian couldn’t help but feel restricted by the need to carry a dog leash with him on his run. Just like the rest of us, Brian wanted to enjoy the adventures of traveling, trail running, hiking and biking with his dog, but without all the gear. He thought, "how can we do this unleashed?" A little while later, the Release 'N Run was born! With a janitor’s keychain, and a needle and thread, and some cut climbing webbing, the first version of the Release 'N Run retractable leash and collar in one was born. Many versions, and many hikes, trail runs, in-town walks, skiing adventures, and boating outings with wife Paula and dog Fletcher, and the “finalized” RNR went into production. What started out as a common problem for adventurous dog owners has become a business for Brian and Paula. They want everyone to have the freedom to adventure with their dogs freely, so we can enjoy the outdoors and #liveunleashed!